A report points at how a large number of Muslims feel they are implicated in terrorism cases, Dalits for petty crimes, and Adivasis for being Maoists. (From L-R) Director of Common Cause Vipul Mudgal, political scientist Suhas Palshikar, former D-G BSF Prakash Singh, former chief justice of Delhi High Court A.P. 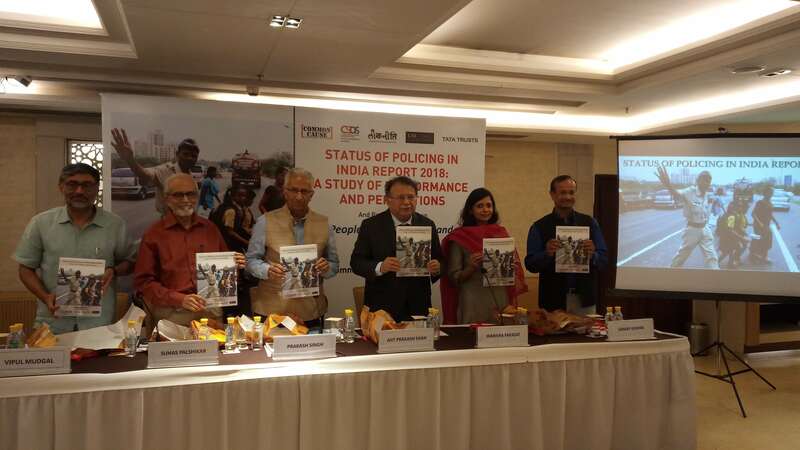 Shah, human rights lawyer Warisha Farasat, and director of Centre for the Study of Development Societies (CSDS) Sanjay Kumar at the release of the report, “Status of Policing in India Report 2018: A Study of Performance and Perceptions”. Muslim representation in the police force remains abysmally low whereas the community continues to have a disproportionately high representation in prisons, a report brought out by Common Cause and the Lokniti-Programme for Comparative Democracy at the Centre for the Study of Developing Societies (CSDS) has revealed. The study also noted that there was a high perception among Muslims that they were implicated in terrorism-related cases, just as Scheduled Tribes or Adivasis believe that they are implicated as Maoists, and Dalits or Scheduled Castes believe that they are implicated in petty crimes. The report, which was released on Wednesday, noted that it was “worrying” that Muslims, who happen to be present in almost all states, continue to have “disproportionately low representation in the police force” but a “disproportionately high” representation in the prisons. The report said an “aspect of police discrimination is the unfair targeting of certain vulnerable communities by the police and their false implication in cases”. In this regard, it said when respondents were asked to share their views on the false implication of Dalits in petty crimes, Adivasis on Maoist charges and Muslims in terrorism-related cases, 38% respondents agreed with the proposition that often the police falsely implicates members of backward castes, such as Dalits, in petty crimes such as theft, robbery, dacoity etc. Likewise, many claimed that Adivasis were falsely implicated on Maoist charges and Muslims in terrorism related cases, but the proportion of these was “not as high”. An examination of state-wise opinion, the report said, pointed out that Dalits in Jharkhand, Telangana and Madhya Pradesh; Adivasis in Maharashtra, Gujarat and West Bengal; and Muslims in Telangana, Delhi, Tamil Nadu, Maharashtra and Karnataka were most likely to hold the opinion that their respective communities are falsely implicated by the police than their counterparts in other states. Drawing a parallel between imprisonment of people from various communities and their representation in the police, the report said only two out of the 22 selected states for this study had met the reserved quota for SCs and these were Punjab and Uttarakhand. Likewise, only six states fulfilled the reservation quota for STs. These were Bihar, Himachal Pradesh, Karnataka, Nagaland, Telangana and Uttarakhand. A slightly higher number of nine states achieved the reservation benchmark for OBCs. These states were Andhra Pradesh, Assam, Jharkhand, Karnataka, Maharashtra, Odisha, Punjab, Telangana and Uttarakhand. When it came to women in police, the all-India percentage was a “shameful” 7.3% as of 2016, the report said, adding that the state with the highest representation was Tamil Nadu at 12.9%. This, too, was just about a third of modest benchmark of 33% reservation for women, it said. The report said while out of 15,562 respondents interviewed, only 14% said they had interacted with the police in the last four to five years, of these 67% had approached the police themselves, while 17% were contacted by the police. In the case of Muslims, in states which are ranked as ‘very good’ as far as representation of Muslims in the police force is concerned, 30% of the Muslims stated that they were satisfied with the police, the report said, adding that in states ranked as ‘very bad’ in terms of representation of Muslims in the police, highest level of dissatisfaction (14%) was noted. The same held true when it came to representation of women in the police. “In states having ‘very bad’ levels of representation of women in the police-force, relatively, highest level of dissatisfaction was noted (7%), while women were most satisfied in states ranked as having ‘Good’ (29%) and ‘Very good’ (24%) representation in this regard,” the report said. The survey also revealed that the poor and the lower classes had the highest levels of distrust in police at 32% and 31%, respectively. The upper class had the highest levels of trust, and this was true across all genders. “On the whole, the upper class, even within the various caste-based distinctions weaved together, exhibited highest levels of trust. 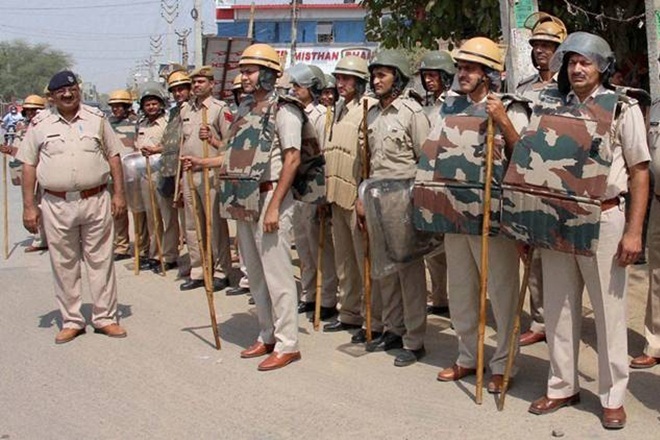 The caste angle on its own also plays an important role in shaping public trust in police,” the report said, adding that STs were found to be most distrustful of the police at 37%, followed by OBCs at 30% and SCs at 29%. Data revealed that while 24% of Hindus were somewhat or highly fearful of police, in the case of Muslims this rate was 64%, in Christians it was 52% and in Sikhs 51%. Among Hindus, the report said the highest fear was displayed in the SC category, followed by Other Backward Classes (OBC). Among SCs, fear was highest among the poorest class (23%). The report also revealed that when it came to vulnerable groups like SCs, STs, women and children, the disposal rate of cases was lower than other categories. 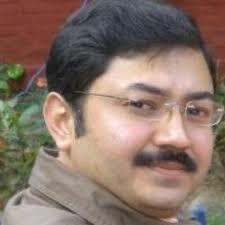 “When looking at the disposal of cases against SC Index, it is only in the state of Bihar and Maharashtra that the disposal indices for crimes against SCs are not below those for all crimes. In disposal of cases of crimes against STs, only Bihar, Maharashtra and Odisha have indices equal to or higher than the disposal Index of overall crimes. Assam, Bihar, Jharkhand, Nagaland and Odisha are the five states that have higher or same disposal indices of cases of crimes against children than the overall crime disposal Index,” it said, noting how in a vast majority of states the cases against these categories took much longer in disposal. Delhi-based human rights lawyer Warisha Farasat said it was also an unfortunate fact that police turns partisan at times of riots and often also assumes the role of a perpetrator. Farasat also flagged the issue of funds not being fully utilised by the states for police infrastructure and lamented that the executive has never prioritised these issues. The report covered 42 variables in six main themes of crime rate, disposal of cases by police and courts, diversity in the police force, police infrastructure, prison data and disposal of cases of crimes against SCs/STs/ women and children. It also puts together critical deficiencies flagged by the Comptroller and Auditor General of India in its audit reports of 11 states spread over a decade.